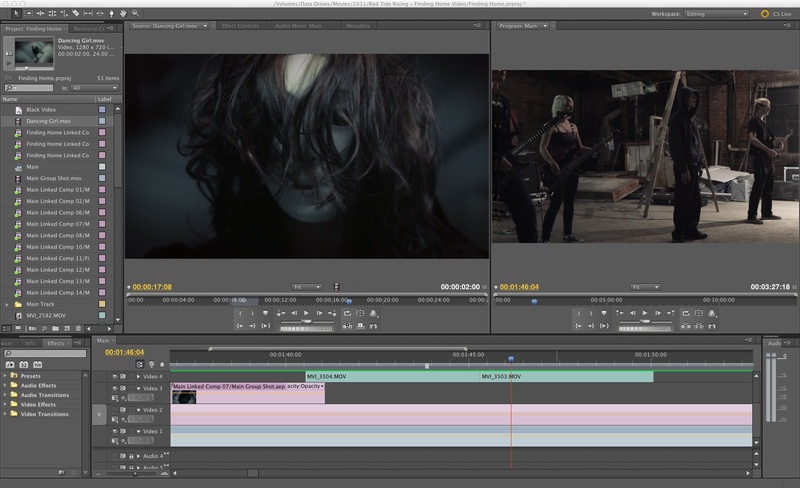 I am working on a music video for a Denver band called Red Tide Rising and posted some screenshots of my editing session. 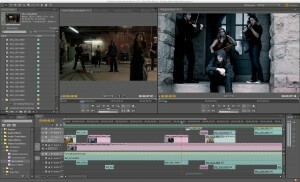 I am using Premiere Pro CS5.5 to edit and do post ( After Effects ). I love the Warp Stabilizer tool to clean up my pans. I am using PVC piping with a dolly and it is not exactly smooth if the ground is uneven. 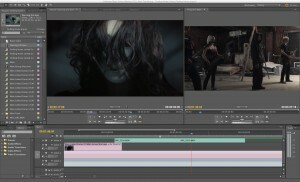 Ill be doing my post mortem for this video shoot when its complete ( and after I do one for my first video shoot haha ). Anyway before its released I thought I’d throw some of my works in progress.